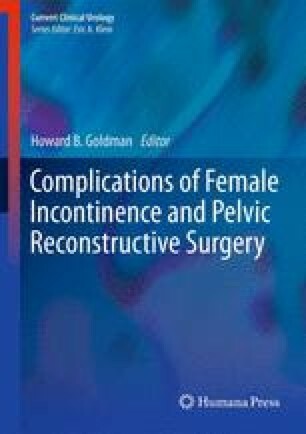 Open abdominal retropubic procedures for urinary incontinence were widely performed in the United States starting in the 1950s till the turn of the century when the use of transvaginal synthetic slings gained in popularity . That said, data regarding the success and complications of retropubic suspensions were mostly expert opinion, cases series, or underpowered randomized trials until the last decade when two large randomized trials comparing the Burch urethropexy to suburethral slings were published [2, 3]. This chapter will review the retropubic procedures for incontinence and the diagnosis and management of complications that arise from retropubic urethropexy procedures.